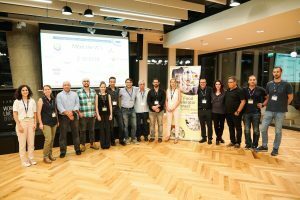 Three startups that were mentored at faculty made the short list of 10 finalists selected on October 24 to take part in the European Institute of Innovation and Technology (EIT) Food Venture Summit—the prestigious business gathering of the European Union’s agri-food innovation community. The startups, which include Jet-Eat and Kiinns, led by Technion alumni, will compete for three equity-free cash prizes of $68,000 each on November 28, 2108, at Station F in Paris. The third winning startup is Natufia.